MyPrem-Free Matrimony Services in India. MyPrem is the traditional matchmaking service provider in India. In India, still, arrange marriages are a majorly preferred way to enter into matrimony. Even in this century, most of the boys and girls prefer to marry the boy or girl chosen by their parents. 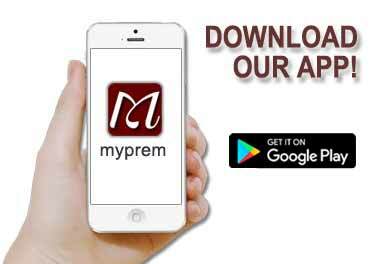 Myprem is the place where you will get your life partners profiles for free. How to register at myprem.com? Click on register link and start filling out all the information it is asking you. Once all the details are filled out, you will get the temporary password to your registered email id. Login using your registered email id and the password you have received into your inbox. Please check carefully your spam folder as well. We’re there at every step… helping you discover your compatible life partner. For more queries please call at 9158795668. Get started today to find your perfect match.